From the bottom of my heart, I just want to thank you all for being a part. I appreciate all of your hard work. It would not have been the same without you. 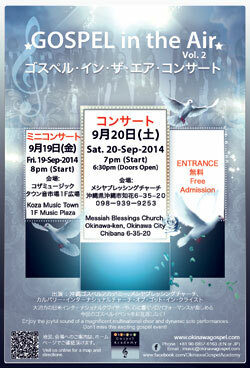 Welcome to the Okinawa Gospel Academy website! Please feel free to have a look around all the areas where you can find out more about us, what we do and how we do it! We are still in the process of finalizing the website so keep checking back for new updates and changes and please bear with us while we find our place!